The George Soros-funded Human Rights Watch (HRW) is pulling out the stops to portray the latest spat of violence in Pakistan's southwest Baluchistan province as the result of Pakistani government brutality. The reports emanating from HRW have been compiled by US State Department mouthpiece Radio Free Europe Radio (RFERL) and published in Foreign Policy Magazine. In identical form to the propaganda campaigns being conducted by the nefarious, corporate-serving US State Department in nations across the planet, we see yet another concerted effort to play on the emotions of the liberal-progressives that line the majority of the West's NGO networks. 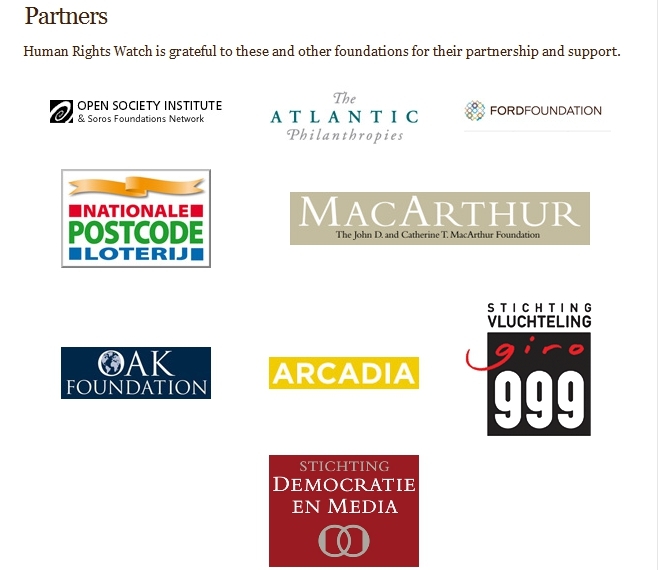 Image: Human Rights Watch has as much corporate support behind it as did the US Iraq invasion. In many ways, Human Rights Watch uses its "legitimacy" to leverage the very real causes of human rights to justify US meddling, intervention, and regime change. In Pakistan's case, the Baluchistan gambit threatens the very sovereign territory of the nation itself. The Foreign Policy/US State Department RFERL report mentions that the Baluchistan minority is waging the latest in a long series of armed insurrections against Pakistan's Islamabad government, the latest of which is claimed to have started in 2004. The report also describes how the Baluchi minority can be found on the other side of Pakistan's border in Iran as well. In Iran, the Baluchi are claimed to also be subjected to "oppression." In reality, the unrest in Baluchistan, on both the Pakistani and Iranian sides of the border, has been the subject of US planning, organizing, funding, and outright calls to arm the Baluchi minority to literally take over the province and carve it out of Pakistan's sovereign territory - not for "democracy" or "human rights" but for the expressed purpose of derailing China's investments and logistical networks built in cooperation with the Islamabad government. In regards to Iran, a 2009 report titled, "Which Path to Persia?" from the Brookings Institution, a Fortune 500-funded (page 19 of PDF) US think tank, talked of arming Iran's Baluchi minority and having them wage war against the government in Tehran. The following passage also makes mention of the Kurdish minority currently running amok between Iran, Iraq, and now Syria's borders. Harrison is far from an isolated criminal conspirator, as the Carnegie Endowment for International Peace sponsored “Balochistan International Conference,” held annually in Washington D.C., makes incessant calls for “international intervention” on behalf of the Baluchi opposition. Most of the Baluchi opposition leaders live in exile in the US, UK, and France, amongst the myriad of Libyans, Egyptians, Syrians, Thais, Chinese, Iranians, all working with foreign aid to subvert and overthrow the governments in their homelands. A presentation (shown below) gives us a verbatim rehash of the same antics that led up to a military attack on Libya, and similar rhetoric being used to set the ground work for intervention in Syria. 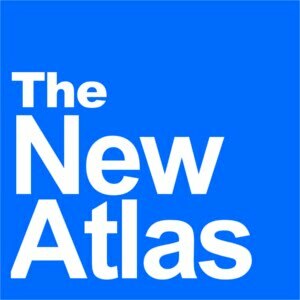 Video: Change Baluchistan to Libya, change the Baluchi names to Libyan names and you can see the same US-funded propaganda that led to Western military operations in North Africa. Selig Harrison is also a regular attendee at these “Balochistan International Conferences” and frequently reiterates his calls for a “free Baluchistan.” With him is Washington lobbyist Andrew Eiva, a former special forces operator who took part in supporting the Mujaheddin in Afghanistan. He proposes a vision of a bright future where Baluchis will enjoy their gas and oil wealth one day in their own autonomous, free nation. Such encouragement from Harrison, whose Center for International Policy is funded by the Ford Foundation, George Soros’ Open Society Institute, and Rockefeller Family and Associates, or Eiva’s flights of petroleum-fueled fancy at a Carnegie Endowment function – funded by oil giants Exxon, Chevron, BP Corporations of North America, the GE Foundation, Shell International, as well as the globalist mainstays of Soros, Rockefeller, and the Smith Richardson Foundation – would be almost laughable if real people weren’t dying and Pakistan’s entire future being put at risk. The truth behind the Baluchistan unrest is that these people have been identified, supported, funded, and armed by the West in an attempt to destabilize the governments of both Pakistan and Iran to, as the Brookings Institution report "Which Path to Persia?" 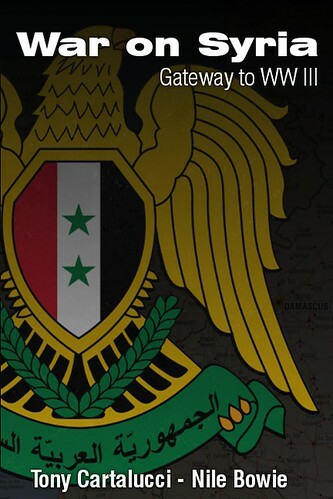 puts it, create a form of "coercive pressure" giving the United States leverage over the besieged governments. For this treacherous gambit, thousands of Buluchis, Iranians, and Pakistanis have died. For those who have read the Brookings report or Harrison's rants carefully, they will realize it is all for the sake of geopolitical power and influence on behalf of their corporate sponsors and has nothing to do with "human rights" or "freedom."